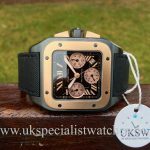 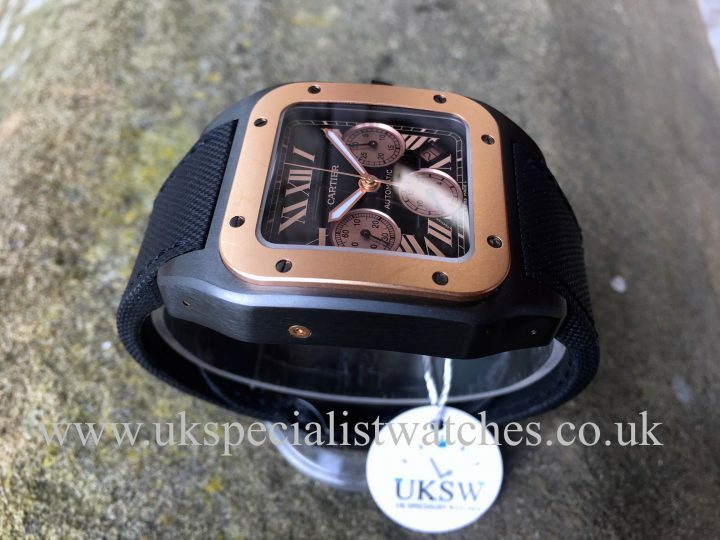 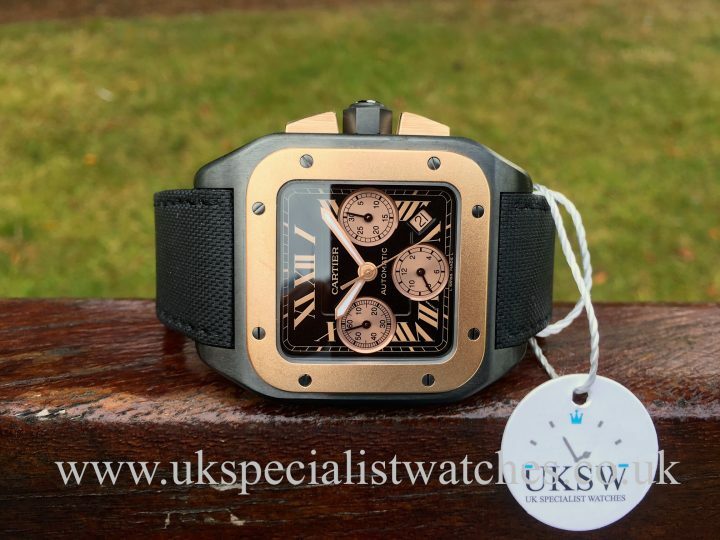 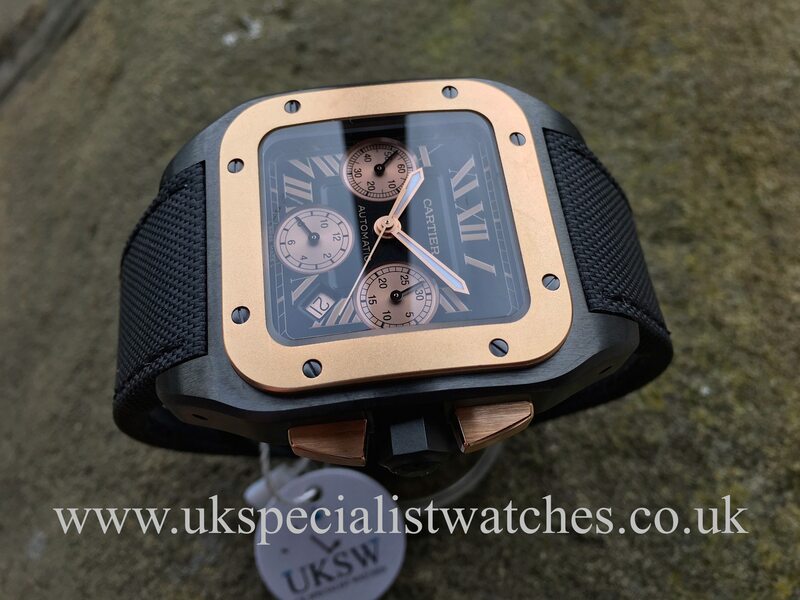 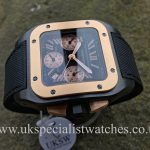 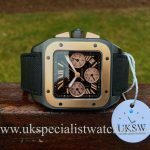 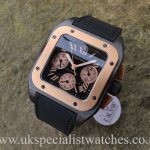 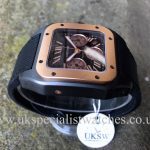 Gents Cartier Santos 100 XL Black PVD (DLC) & 18ct Rose Gold Chronograph. 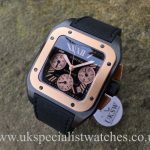 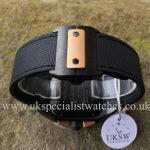 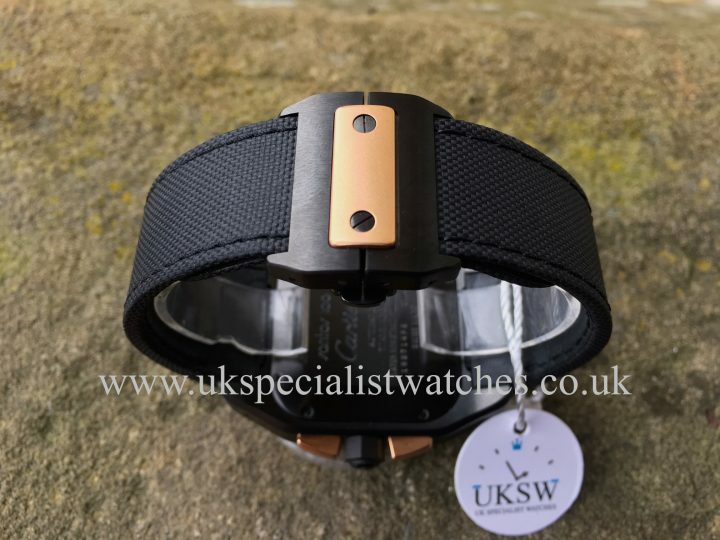 With the largest of the case sizes measuring 55mm x 41mm black titanium case and 18ct rose gold bezel and pushers. 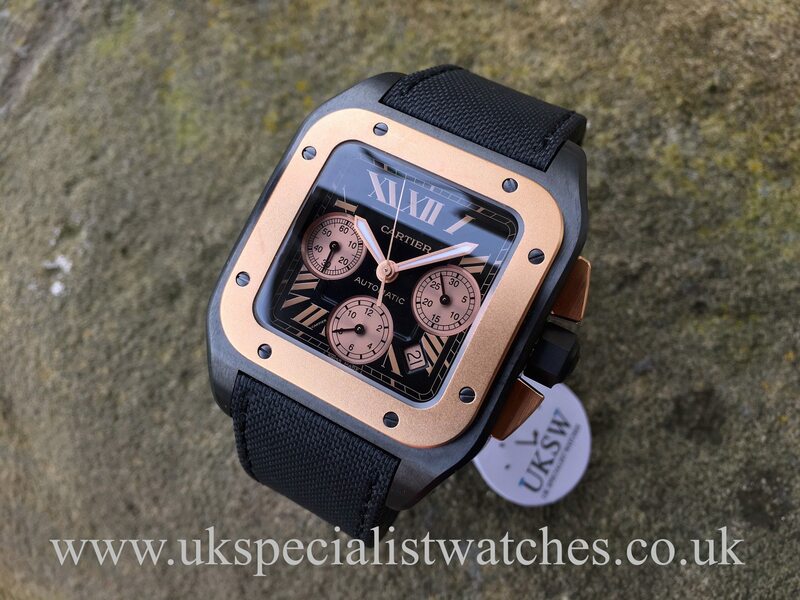 Jet black dial with rose sub dials and roman numerals. 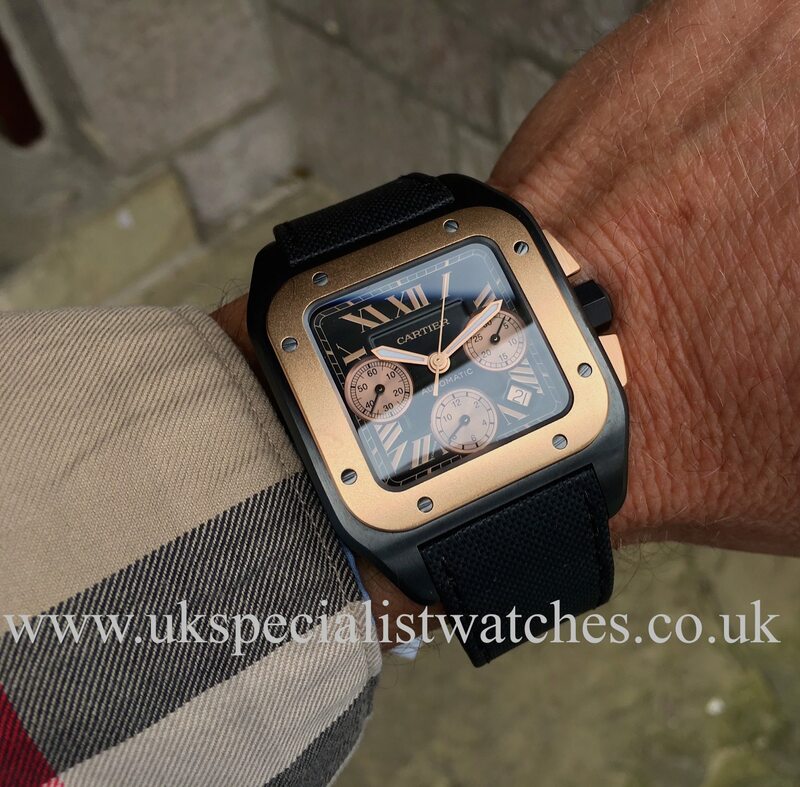 Cartier’s secret signature displayed at 7 o clock. Cartier Black Toile de Voile (Yacht Sail) strap 18ct gold rose gold and PVD double folding deployment clasp. 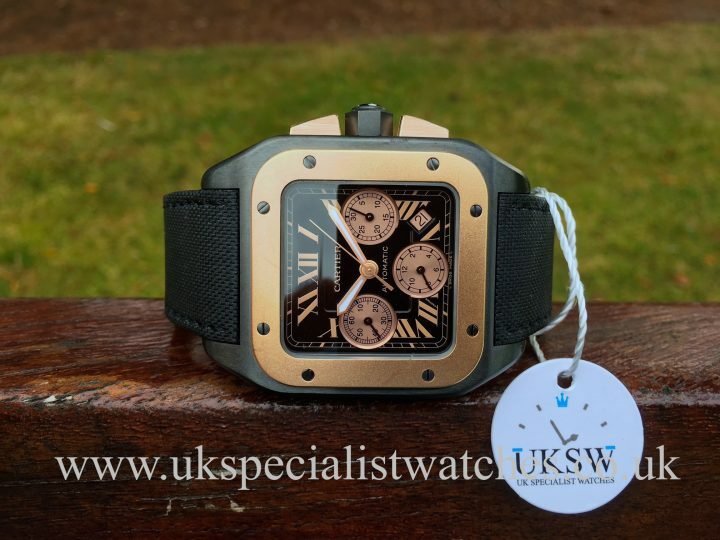 Cartier automatic chronograph movement. 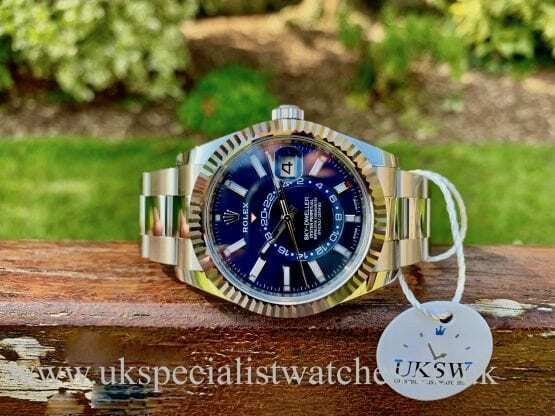 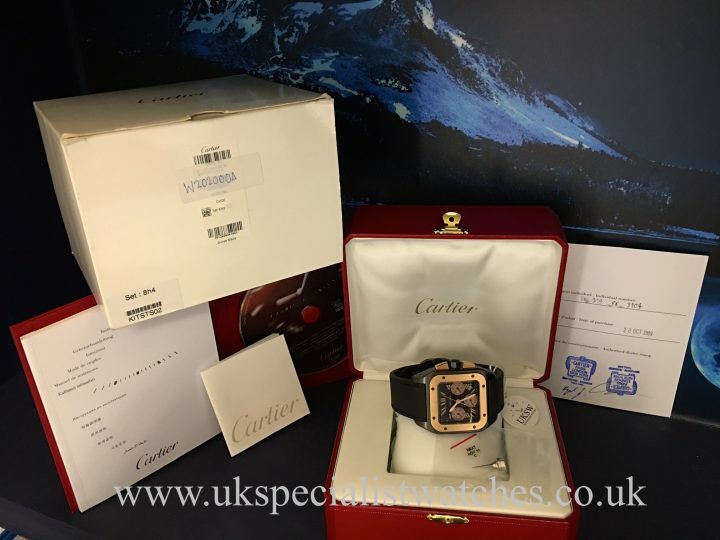 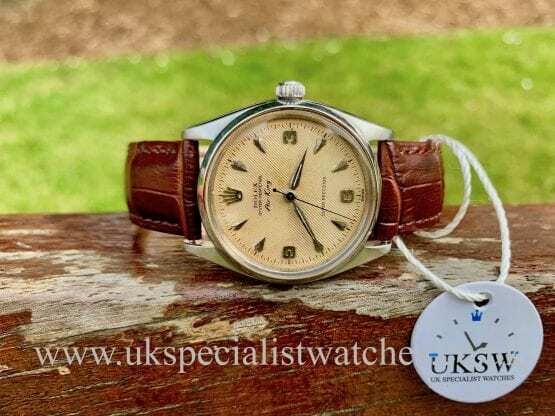 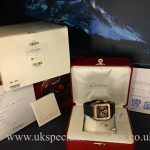 Supplied new October 2009 and comes complete with original Cartier boxes, instruction booklet, date changing tool, original case-back sticker, CD disc and stamped guarantee booklet.